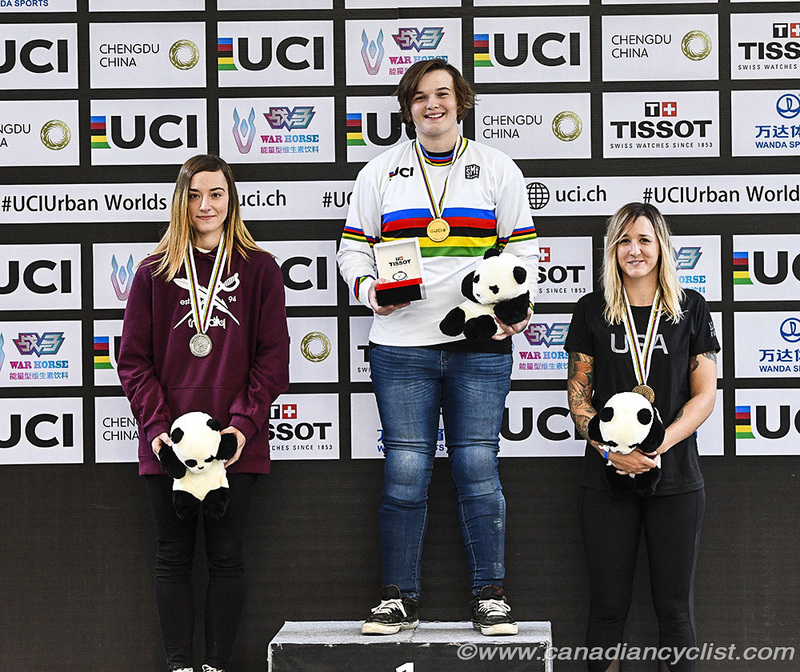 The inaugural edition of the UCI Urban Cycling World Championships concluded on Sunday in Chengdu, China, with titles awarded for the Eliminator and Freestyle BMX. 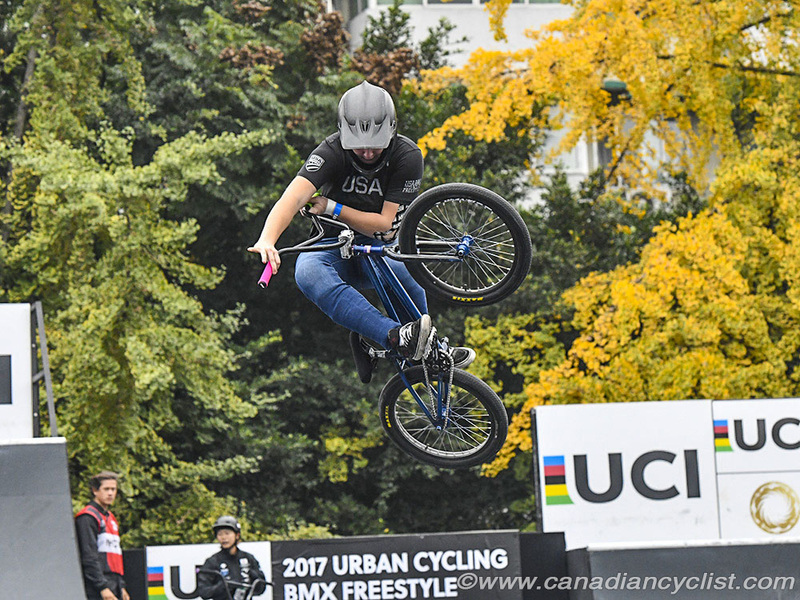 Canada had no competitors in the Eliminator and the only BMX entrant - Jaden Chipman in the men - did not make it out of the qualifying round, finishing 34th overall. 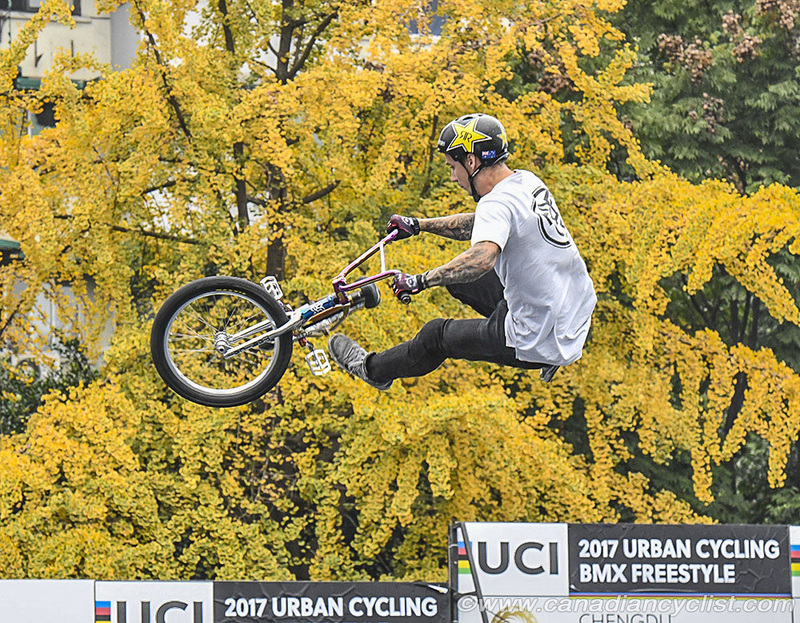 This was the first ever world championships for Freestyle BMX, which has been added to the Olympic program for 2020 in Tokyo. 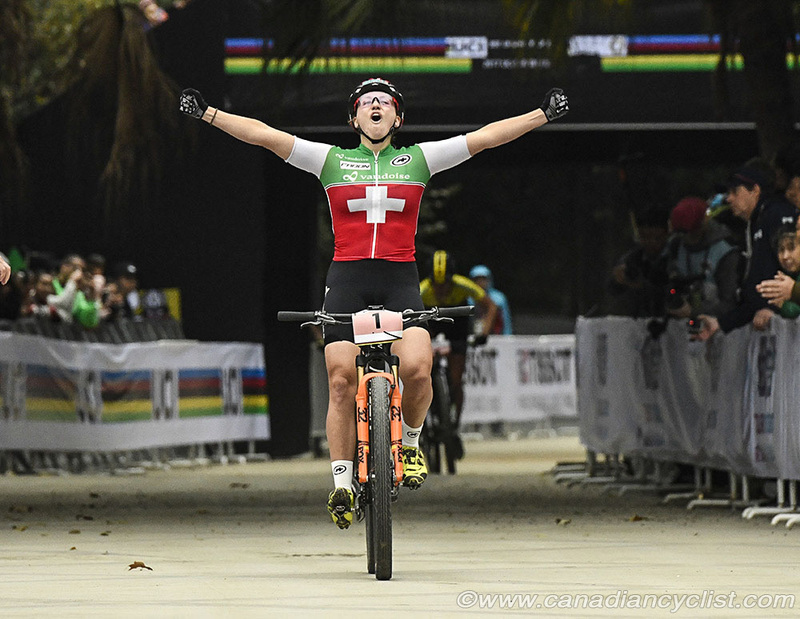 The United States dominated the women's category, with Hannah Roberts easily taking the title and countrywoman Angie Marino finishing third. Germany's Lara Marie Lessmann won the silver medal. 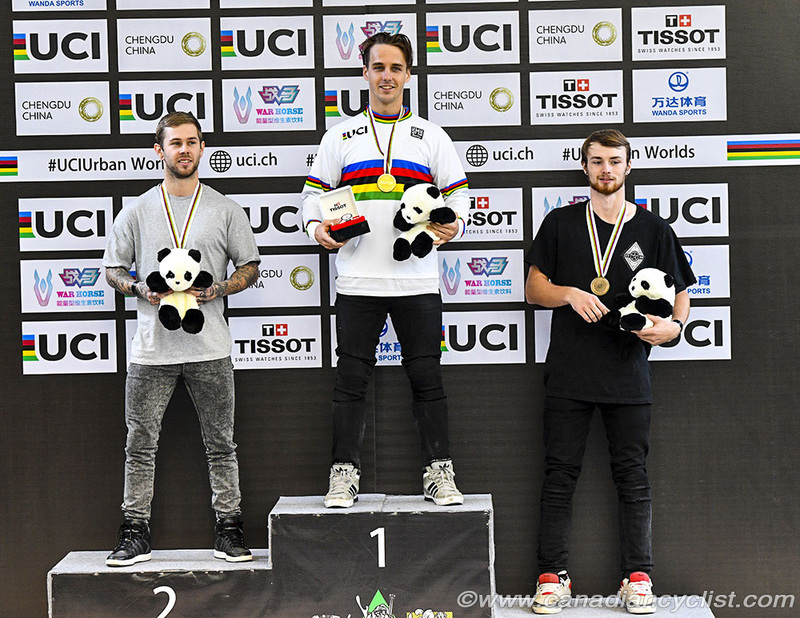 In the men's event - which saw a number of top riders go out with crashes or mechanicals - top qualifier Logan Martin of Australia had the best runs to win the title, ahead of Alex Coleman of Great Britain and Daniel Sandoval of the U.S. The Eliminator finished out the Championships. Former world champion Kathrin Stirnemann of Switzerland was clearly the strongest in the women's field, qualifying first and cruising to the title in the Final. Ella Holmegard of Sweden finished second and Perrine Clauzel of France was third. In the men's competition, both the top qualifiers - Hugo Briatta (France) and Daniel Federspiel (Austria) did not make it to the final four. 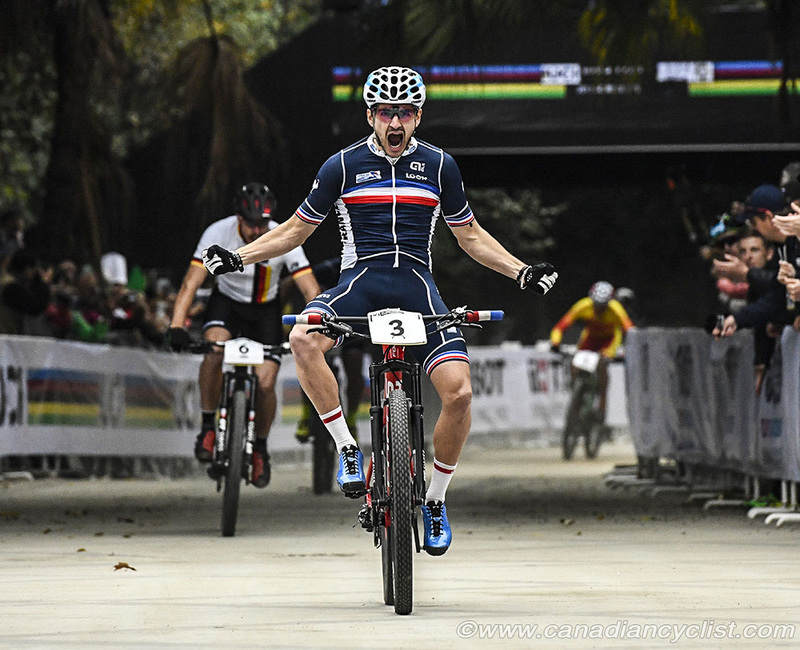 It was Number 3 qualifier Titouan Perrin Ganier of France who won the title ahead of Germany's Simon Gegenheimer and French compatriot Lorenzo Serres.